This upscale and small Italy tour showcases Italy’s fantastic food and wine and the classic sights its key cities – Milan, Rome, Florence, Venice and more. You will travel the length of this beautiful country, visiting Italy’s must-see historic, artistic and architectural treasures from a famous villa in Lake Como and Da Vinci’s Last Supper to the Uffizi Gallery and Roman Colosseum. 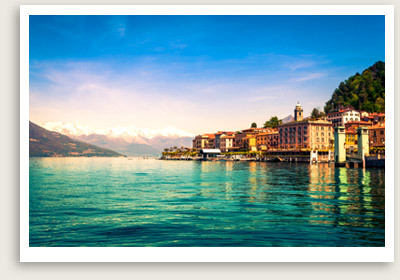 This upscale Italy tour begins with a visit to picturesque and elegant Lake Como that includes time in charming Bellagio and the beautiful Villa Balbianello, once a setting of a James Bond movie. Also a planned stop is fashionable Milan to enjoy its famous sites like the magnificent Gothic cathedral, the famous La Scala Opera House and da Vinci’s masterpiece, “The Last Supper” housed in the church and convent of Santa Maria delle Grazie. This Italy tour has a day trip to the elegant and magical floating city, Venice, touring famous sights like St. Mark’s Square and Doge’s Palace. This upscale Italy tour also includes the Renaissance city of Florence, famous for art, history, architecture, and numerous artisan shops and their products like mosaics, gold and leather, paper, and fabrics to name a few. 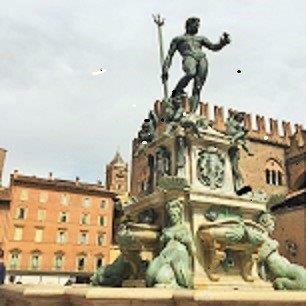 A tour of Bologna and its ancient market are also now part of this tour. Here we have a private visit and tasting with a master balsamic vinegar producer, producing some of the best product in the region. 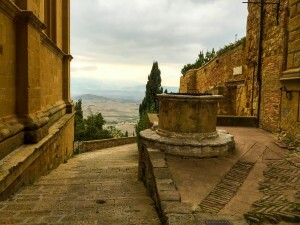 Our Classic Italy tour also includes day trips to the Tuscan countryside to the historic hilltop city of Siena, the Chianti region and the picturesque countryside of southern Tuscany to Montalcino, where we would sample the famed Brunello de Montalcino. As the saying goes, all roads lead to Rome, and your tour will end in this magnificent city, a fusion of the ancient and modern. Here you will see the ancient wonders that have drawn visitors to this capital for centuries: the Colosseum, the ancient city wall and gates, and Circus Maximus, as well as Baroque and Renaissance sights such as St. Peter’s Basilica, the Vatican, the Sistine Chapel, Piazza Navona, and Trevi fountain. Book this Italy tour for an inspiring introduction to the best of Italy, not only for its museums, cities and monuments but also its fantastic food, wine, culture and people. We will meet you at the airport in Milan and take you to Como. Our hotel is right in the bustling city center. After breakfast, our guide will take us on a guided tour Villa Balbianello. One of the most beautiful sites fronting Lake Como, this famous villa was used as a setting in a number of films including James Bond’s Casino Royale. Our Italy tour also takes us to Verona, where our next hotel is located. We stop in Milan on the way for a guided tour, starting with the Duomo, the city’s magnificent late G othic cathedral. 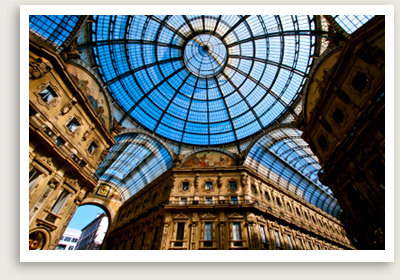 We’ll continue your walking tour of Milan through the Galleria Vittorio Emanuele II to the square of La Scala, one of the world’s most famous opera houses. We will have a private behind the scene tour of this famed opera house. Our Milan tour will end at the Cenacolo Vinciano, the museum housing Leonardo da Vinci’s great “Last Supper.” Our tour guide will share some interesting and little-known facts about this famous masterpiece. NOTE: For those who have already done the St. Mark’s Square tour, your tour director will take you to Peggy Guggenheim’s mansion with a garden, now a contemporary museum, overlooking the Grand Canal. Here you will have a chance to see a quiet neighborhood away from the most touristy part of Venice. Toda y, we’ll travel to Venice by train. 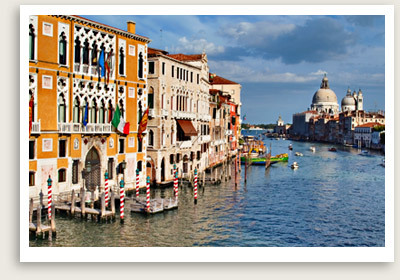 Our local expert guide in Venice will take our group to Venice’s most important sights. We begin at St. Mark’s Square, the political and religious center of the Republic of Venice. You will see many of its historical and artistic treasures dating from antiquity: the Basilica with its precious mosaics; the Doge’s Palace (now a museum) with its well-known Bridge of Sighs, the Clock Tower and the Campanile. The afternoon is yours to explore this grand city on your own the rest of the day. You may also take a boat to Murano island, famous for glass factories or simply wander the various neighborhoods. NOTE: Your tour director can suggest other sites for you to see. We depaet for Verona late afternoon. Explore Verona after breakfast before our scheduled late morning departure for Florence. On the way, we will do a side trip to Bologna, the capital of the Emilia-Romagna region located in Po River Valley and in the most important agricultural valley in Italy. Bologna is ancient, dating back to 1,000 B.C. during the time of the Etruscans, the Celts and Romans. It is home to the oldest university in the world, the University of Bologna. Bologna is renowned for its food and gave us the famous Bolognese sauce (“ragu” locally), and also produces an array of regional products like prosciutto, salamis and mortadella. We’ll visit the ancient market still in existence today. Group lunch is planned. We will also stop to meet a master balsamic vinegar producer. You’ll have an opportunity to hear about their family and its production process as well as taste a few of their products. NOTE: If you have already done the planned guided tours of Florence, a day trip to Castellina & Greve in Chianti with lunch and wine tasting is being offered as an alternative. 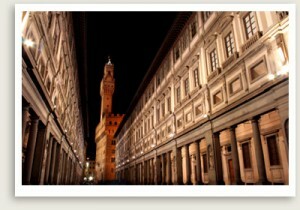 This will take place the next day which means you will have your leisure day in Florence today. This Chianti tour is also available as an additional tour (optional) for those doing the scheduled Florence tours. Inquire. 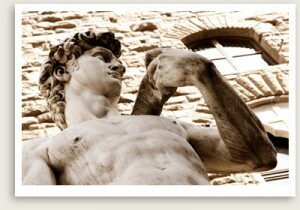 We will have a guided tour of Florence – a 2,000-year-old city with some of the world’s greatest art and architecture. We will have an early morning walking tour of Florence with a licensed local guide covering some of the city’s history and architectural treasures including the beautiful Piazza della Signoria, the Duomo (Cathedral) Ponte Vecchio, while we walk pass such famous landmarks as the Baptistry’s Gates of Paradise, Bell Tower, Ponte Vecchio, Vasari Corridor and Medieval towers. 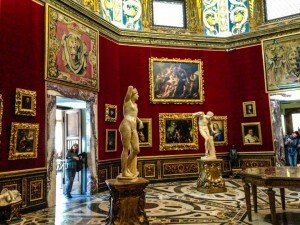 Also planned is a guided tour of the Accademia museum, where we will view some of Michelangelo’s works, including the famous Statue of David. NOTE: Optional tours of Pisa (half day), Chianti Tour (full day), Cinque Terre (full day) can be made available, if interested. Today, we leave early in the morning for Rome and travel through the Tuscan countryside to reach the historic city of Siena. Built on three hills in the middle of the Via Francigena (pilgrimage road), Siena is one of Tuscany’s crown jewels. It has an outstanding Gothic Duomo and another important church, San Domenico, which claims the skull of St. Catherine. 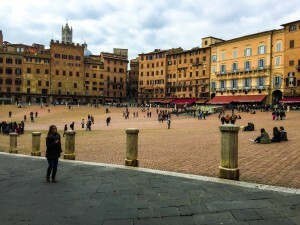 Siena also has one of the most beautiful squares in Italy, il Campo, where the famous Palio horse race is held twice a year. Our local expert will take us through the city’s rich history, followed by free time to explore on our own. From here we continue to travel south to reach one of our favorite wineries in Tuscany. We will sample some of their wine, including their excellent Brunellos and lunch. NOTE: If you do not want to do the tours scheduled on here on Day 9, a driving tour in and out of Rome is offered as an alternative, to be conducted on Day 10. You will see sites in Rome rarely seen by tourists and you will also venture outside the city center. This tour is also offered an optional tour to those doing the scheduled. A guided tour of Ancient Rome with our local expert guide is planne d for this morning. We’ll start with the Colosseum, the entertainment center of ancient Rome. Here, 50,000 people gathered to watch gory gladiator contests. We will hear about its amazing 450 years of history and get a sense of how Romans celebrated the best and the worst of their society, influenced by the emperors’ overwhelming powers. Our exceptional guide will bring the relics of the ancient Roman forum dating back to 6th century BC, to life as we traipse through the ruins of numerous temples, basilicas, palaces, arches and shops. 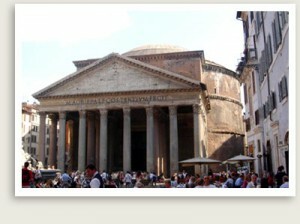 The first Roman civilization began here, in turn becoming the administrative and commercial center of ancient Rome. 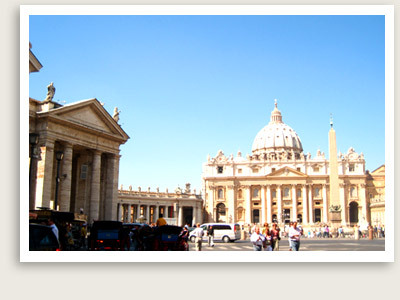 On your scheduled leisure day you can explore Rome to see sites you have not seen yet. Your guide will make sure you see Piazza Navona, Campo dei Fiori, the Pantheon and Trevi fountain. More on the driving tour: sites include Roman aqueduct, ancient Via Appia, ancient Roman gates and wall, circus maximus, neighborhoods in Rome and much more. 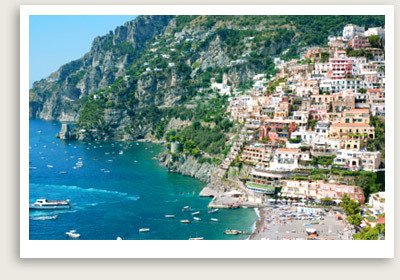 NOTE: This is Day 1 of the extension to Sorrento and The Amalfi Coast. Luxury hotel option. Some of us are staying in Le Sirenuse. We’ll spend part of the day in Capri with our guide. We’ll travel by ferry from the dock below. Return to Positano after in the afternoon.